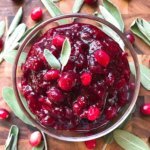 Homemade Rosemary Cabernet Wine Cranberry Sauce is a delicious way to celebrate the holidays. 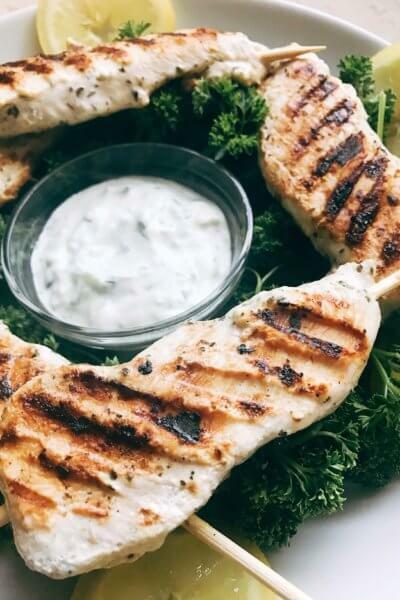 Quick and simple to make, this sauce is incredibly easy and great to make in advance. In my house, there is a cranberry war. There always seems to be people on both sides of the cranberry sauce fence: canned or fresh sauce. I will eat both but personally love a fresh sauce. 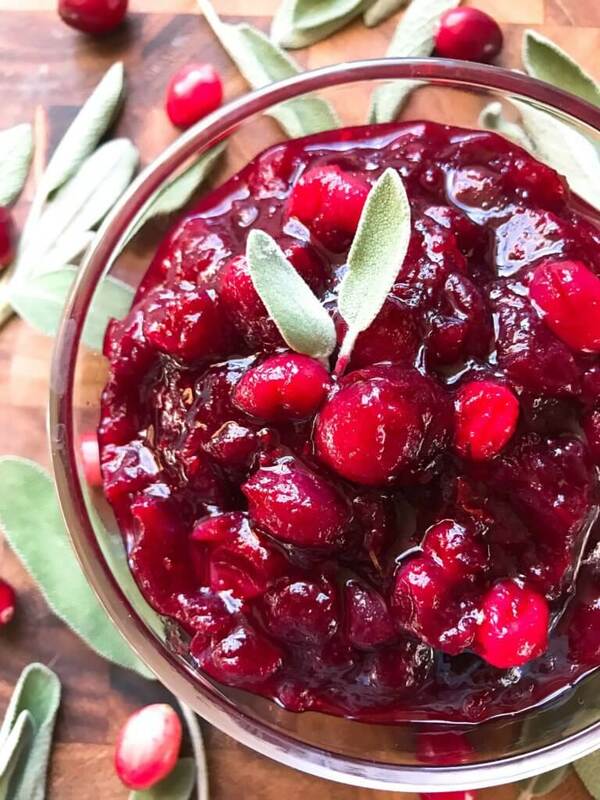 The texture of the whole and burst berries plus the ability to make fun flavor combinations are what I love most about a homemade cranberry sauce. 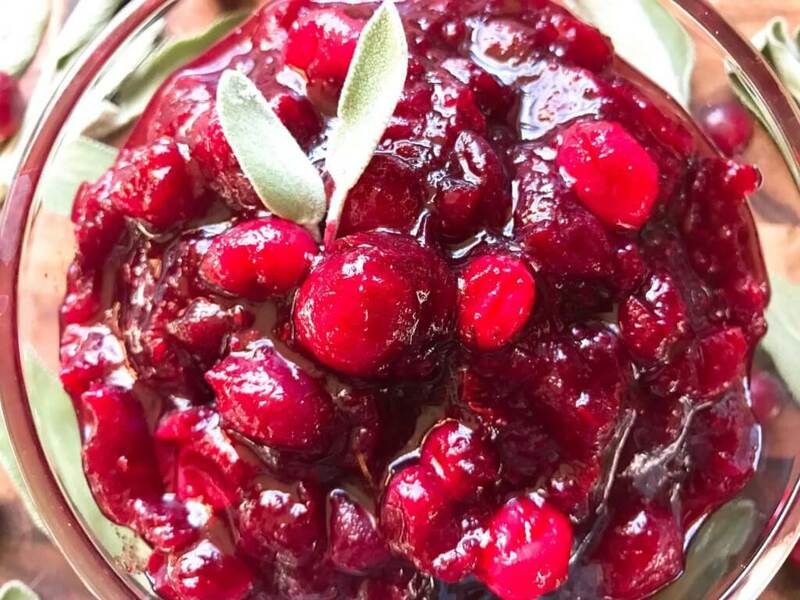 For another fun variation, check out my Ginger Orange Cranberry Sauce here! Because of this cranberry sauce war, I always have both. And I kind of prefer that some people go for the canned kind so I can hoard more of this Rosemary Cabernet Wine Cranberry Sauce for myself! The wine cooks out of the sauce when you reduce it, so it is safe to use for those underage. 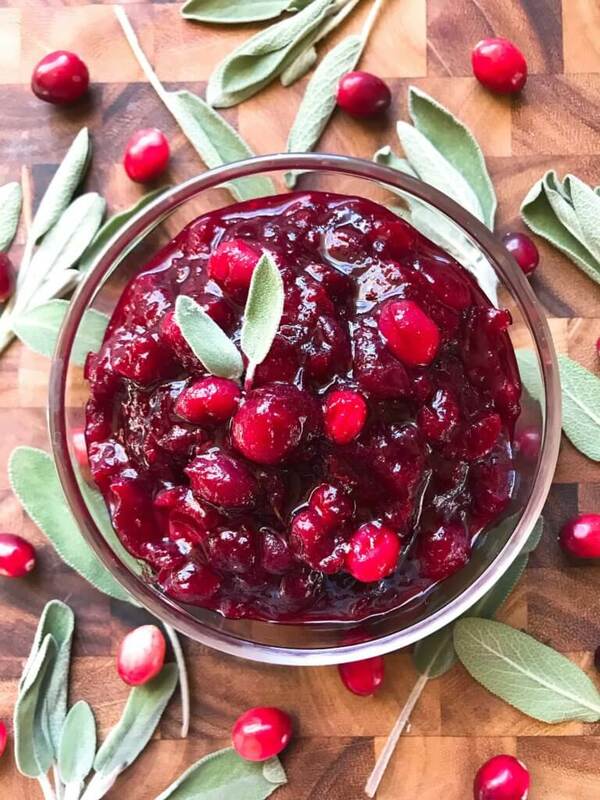 A homemade Ginger Orange Cranberry Sauce is so simple and easy to make. 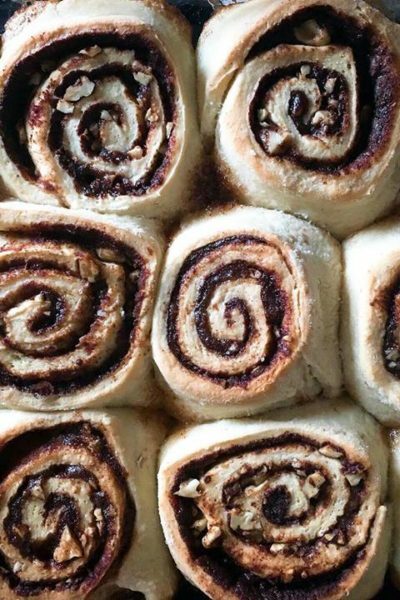 Even with all the other holiday dishes to prepare, this is completely worth it. Plus, you can make it in advance. I always do as much cooking and prep work as I can before a holiday or big cooking day to make it less stressful. 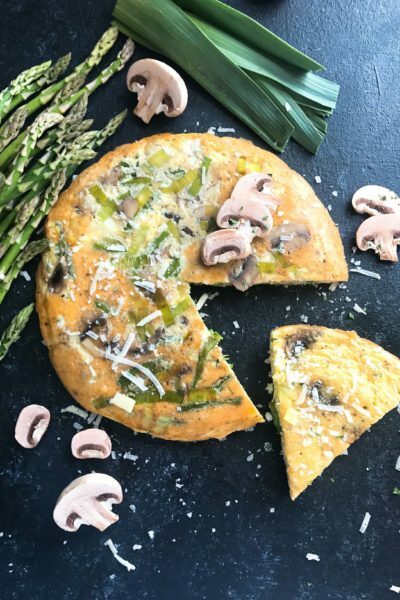 Just a few minutes on the stove, pop it in the refrigerator, and it will be waiting for you! This sauce is also vegan, dairy free, allergy free, and gluten free (gf), making it a perfect fit for any guests with dietary restrictions. 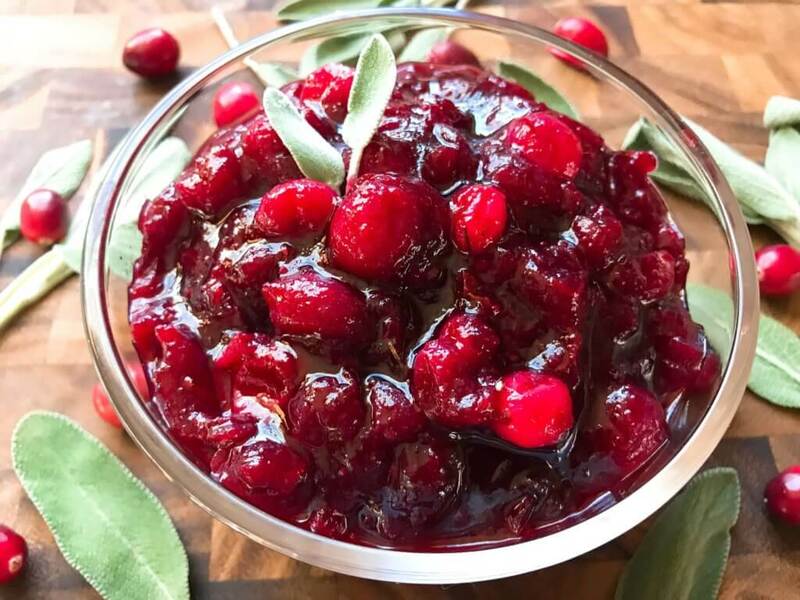 This batch is typically enough to serve 8-10 people, unless you have some serious cranberry sauce lovers! I typically make a double batch (or more) to make sure I have leftovers! 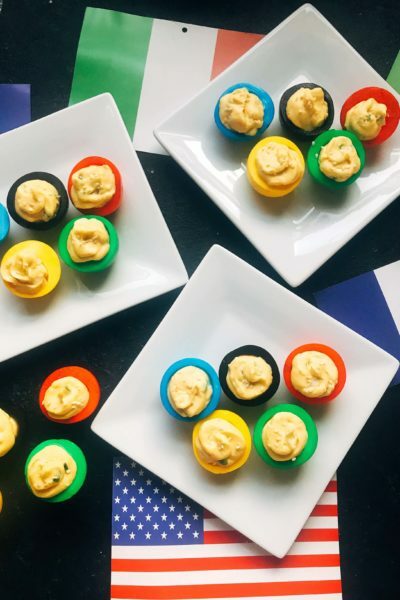 Find more of our holiday recipes and leftover recipe ideas here! 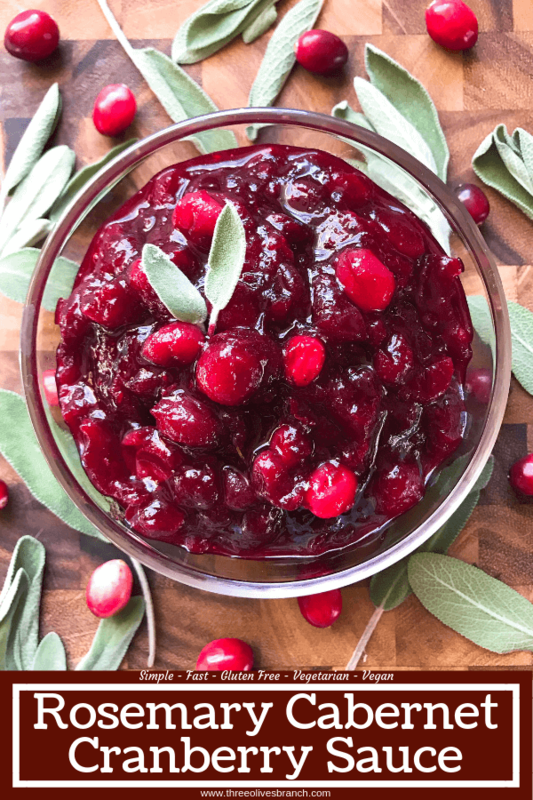 A quick and simple homemade cranberry sauce to compliment your holiday feast! Make it in advance. In a small sauce pot, heat the wine at a simmer over medium heat until reduced by half, approximately 5-8 minutes. (If not simmering, turn up to medium high heat and watch carefully). Add the cranberries and sugar. Stir to combine. Heat over medium heat until it returns to a boil. Reduce heat to low. Add the rosemary, cinnamon, allspice, and nutmeg. Stir to combine. Simmer and cook for 5 to 7 minutes. Some cranberries will remain whole and some will burst. Add the zest of half an orange, and the juice of half an orange (or a full tangerine). Stir. If needed, add a little water to loosen the sauce if desired. Season to taste with more of any spice or sugar as desired. Cool the sauce until ready to serve. The sauce will continue to thicken as it chills. Use any red wine that you enjoy drinking. I prefer to use strong flavored wines like a Cabernet here that is not sweet. Chopping the rosemary prevents the large, sharp rosemary pieces in the final sauce. You can also use 1/2 teaspoon fresh rosemary. 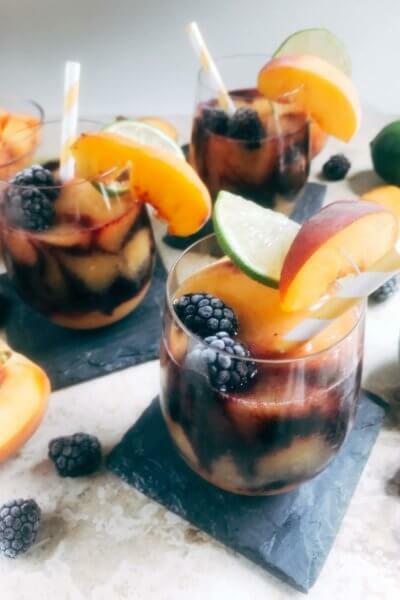 You can also use frozen cranberries. To make a sweeter sauce, increase the sugar to 3/4 cup. Use a zester (microplane) like this one to zest the orange. This tool also comes in handy for cheese or chocolate grating! Easy make this sauce a day or two in advance to free up time for cooking the day-of!